The Winter 2017 indoor soccer season was memorable for a number of reasons. The league attracted players and teams from all over the GTA, such as Markham, Ajax, Pickering and Brampton. Our second session saw some new teams join such as Athletiki and Alhilal (in Division A) and Hawks United (in Division B). The Division B champs from our first session (Azkals) decided to promote themselves to Division A in order to test the competition. From the start of the season, Athletiki in Division A was dominant. In their first couple of matches, they were beating their opponents by a goal margin of 7. In their initial game against the defending champions, Althahabi, the 7-0 mercy rule was in effect 30 minutes into the match. The competition in Division A was strong as many of the solid teams from the past such as Omada United and Desert Hawk had returned. However, Athletiki’s scoring ability really surprised many of the teams in the Division. In Division B, new teams such as Hawks United and Black Eagles made an early impact in the season with their solid starts to the season. The second session also saw the return United BFC who switched over from our Tuesday night indoor soccer program. 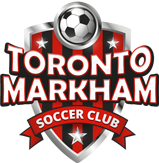 Toronto Monday Night Indoor (Winter) Soccer League – Markham | Scarborough Ontario.